Good morning everyone and welcome to the weekend. This weekend the New York Yankees and Yankee Stadium will play host to the Los Angeles Angels of Anaheim in a three-game set. Memorial Day weekend and Yankees baseball, now that is American. In the start tonight the Yankees will send out Luis Severino to the mound to face off with Andrew Heaney for the Angels. Let’s get to it here in the Bronx. 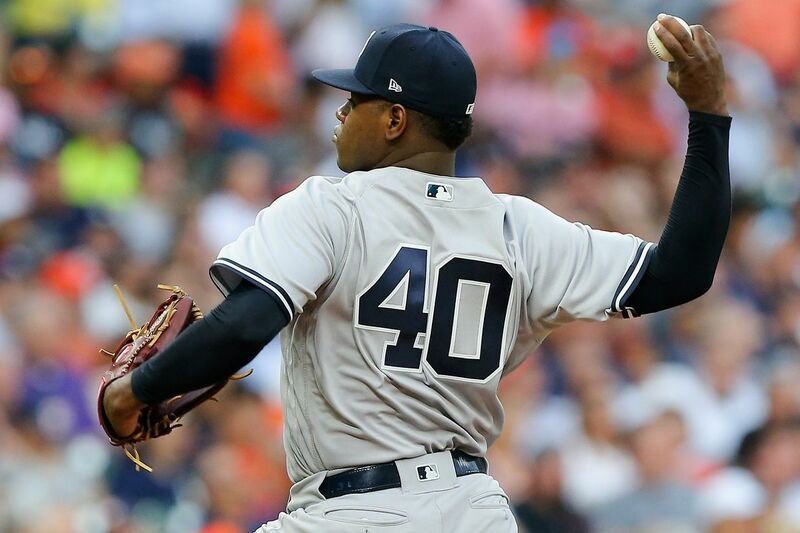 Severino has not lost a start in his last seven starts and will look to keep that unbeaten streak alive tonight in the Bronx against the Los Angeles Angels of Anaheim. In his last start against the Angels on April 27 the Yankees right-handed ace took a no decision. Severino last pitched against the Kansas City Royals five days ago where pitched six innings allowing three runs in an eventual Yankees victory. Heaney took the loss in his last start against the Tampa Bay Rays after giving up four unearned runs in six innings of work. In Heaney’s last five outings the Angels left-hander has pitched to just a 1.45 ERA and will look to improve on his career 1-0 record and 1.50 ERA against the Yankees in two career starts. The game will be played at 7:05 pm ET inside Yankee Stadium and can be seen on the YES Network and MLB Network. You can also follow along with the game on MLB TV, with the MLB At-Bat app and by tuning into the Yankees radio broadcast with John Sterling and Suzyn Waldman. Enjoy the game, make up your mind what city you want to represent already, and go Yankees! !